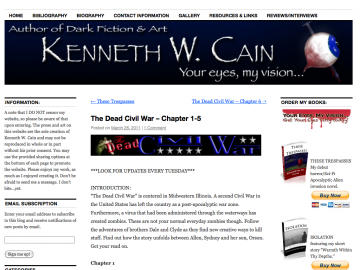 "A strange zombie tale about the lines drawn between mankind in both life and death"
The Dead Civil War by Kenneth W. Cain is a horror novel updated no longer updated. The Dead Civil War has not been reviewed yet. The Dead Civil War has not been recommended yet.